Click here for frame specifications. 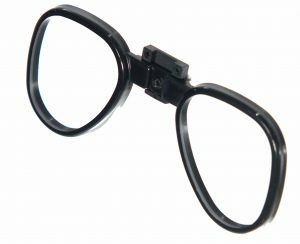 Nylon eyeglass frame compatible with all single lens scuba dive masks and full-face snorkeling masks. Can not be used in goggle-type masks. 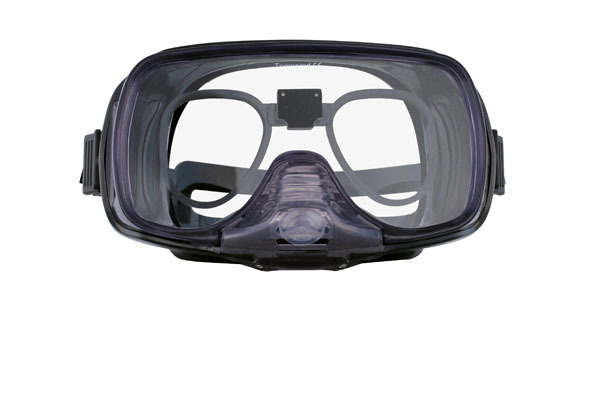 Can use any strength eyeglass prescription in the Scuba Spec insert: single or bifocal vision or readers (magnifiers). Securely attaches to the inner surface of the mask’s faceplate using a suction cup (Model #137EPB) or bonded anchor bracket (Model #199EB). 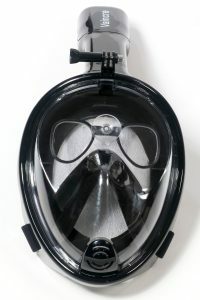 Scuba Spec lens inserts are transferable between dive masks. Used by both professional and sport divers. Optical lenses for Scuba Spec inserts can be purchased through this website or from your local optician. 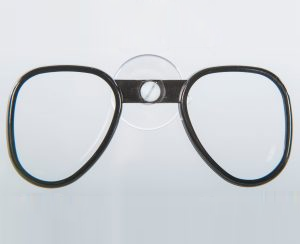 Click here for significant cost savings on top quality optical lenses. Click and drag to rotate the above image. Click here for the Complete Scuba Spec Package.